When you have three siblings, there's always something going on! 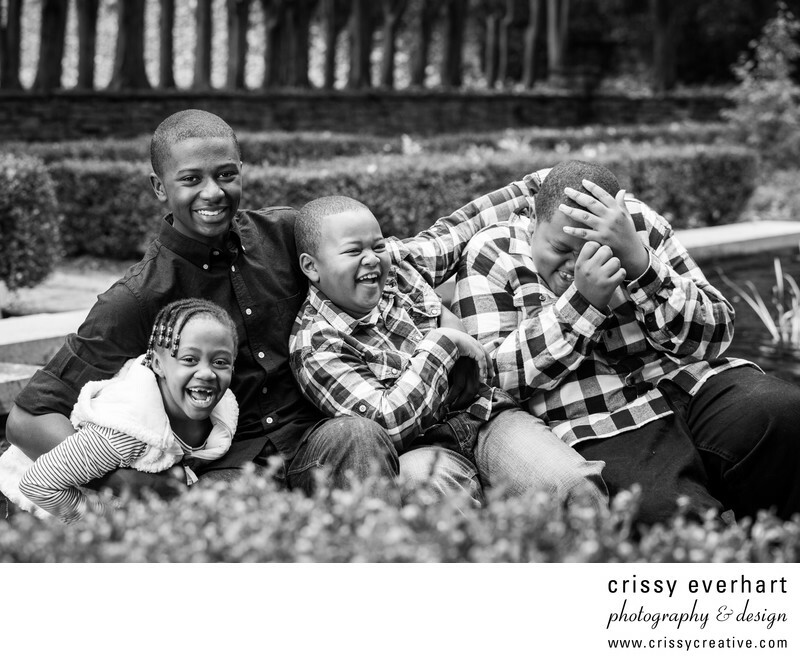 This fun group goofs around at their portrait session at Ridley Creek State Park in the fall. The middle boys beat each other up as the oldest gives them all a hug and the little girl laughs at how hilarious her brothers are.